Ribble purchased large numbers of Leyland TD4s and TD5s prior to the war. 2057 was delivered with a Burlingham body but, like many others, it was in poor condition by the late 1940s. Ribble embarked on large scale rebodying programme of the TDs and 2057 received an Alexander body to a Leyland design in 1949. It operated from several depots before finishing its Ribble days at Skerton (Lancaster) in 1960. Sold initially to the dealer Millburn Motors, it was acquired by Benefit Shoes of Leeds for staff transport. Upon withdrawal in 1968 it was acquired for preservation by Dr Harold Peers of Otley who rallied it for many years. 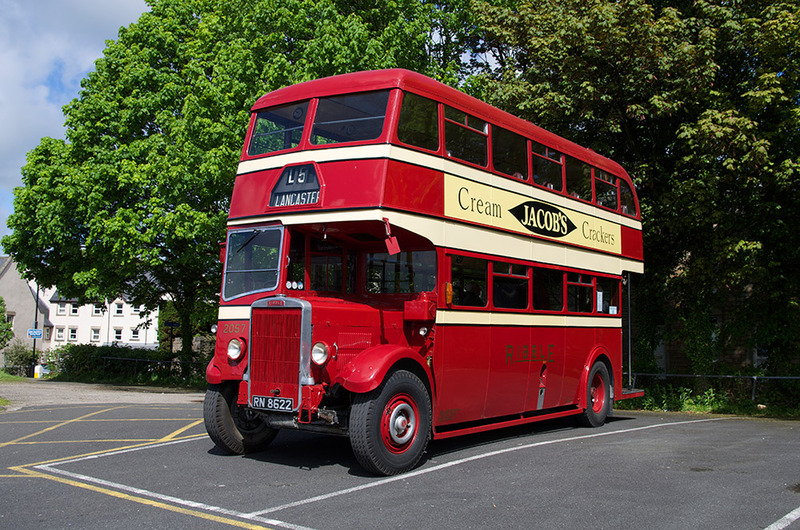 It was purchased by an RVPT member in 2005 and was given an external repaint (including period adverts) and a thorough internal refurbishment. It has been a regular performer for the Trust since then.